This financial/espionage thriller by Chris Morgan Jones is about a shady Greek businessman’s attempt to destroy a Russian oligarch, Malin. This is done by employing British investigator Ben Webster who decides to investigate the oligarch’s front man, Dutch lawyer Richard Lock. The story is seen through the eyes of these two characters. 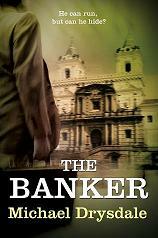 I thought the book was very well written with a style similar to John Le Carre. The book describes how a maze of offshore companies might be used for money laundering. I found this interesting if a little text book like. The author really conveys a mood of menace and gives a good description of the moral dilemmas facing Webster and Lock. However I found the pace too slow and the plot lacked excitement. Three and a half stars.